How many people do you know that don't own a cell phone? For the majority of us, that number will be very small, if not zero. Not too surprising considering that 5 billion people around the world – or two-thirds of the earth’s population – now have a mobile phone connection. The data comes from GSMA Intelligence, the research unit of the GSMA trade body that represents the interests of mobile operators worldwide. Its real-time tracker shows that the number of unique mobile subscribers has now passed the 5-million-person milestone, representing year-on-year growth of almost 5 percent. The site also shows the number of mobile connections around the world. This figure is considerably higher as many people use more than one SIM card, and it includes machine-to-machine connections, of which there are around 400 million. 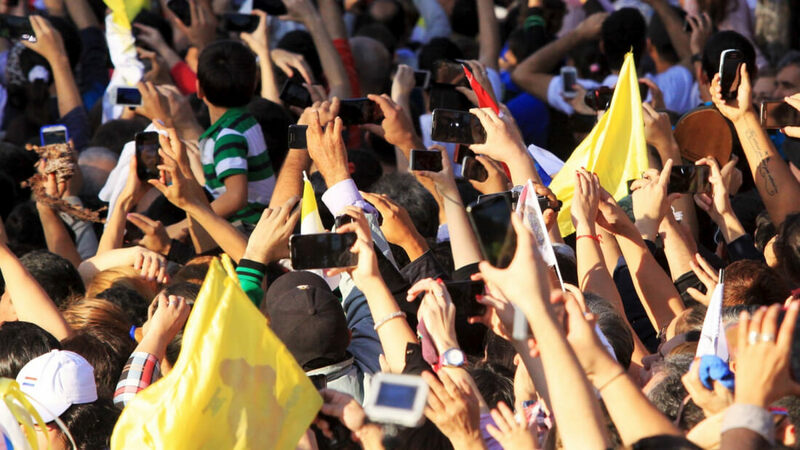 “Today, mobile is a truly global platform, delivering connectivity and, perhaps more importantly, social and economic opportunities to citizens in all corners of the world,” said Granryd. Over half of all mobile subscribers, 2.7 billion, are located in the Asia-Pacific Region. When it comes to individual countries’ mobile markets, China sits at the top with 1 billion subscribers, while India is second with 730 million. It is in Europe, however, where phone penetration is at its highest, with 86 percent of citizens subscribed to a mobile service. The US has the second-highest subscriber penetration at 80 percent. By the end of this decade, GSMA predicts that the number of unique phone subscribers will reach 5.7 billion – around three-quarters of the earth’s population – with India responsible for the largest share of this growth.